Strawberry fields forever? 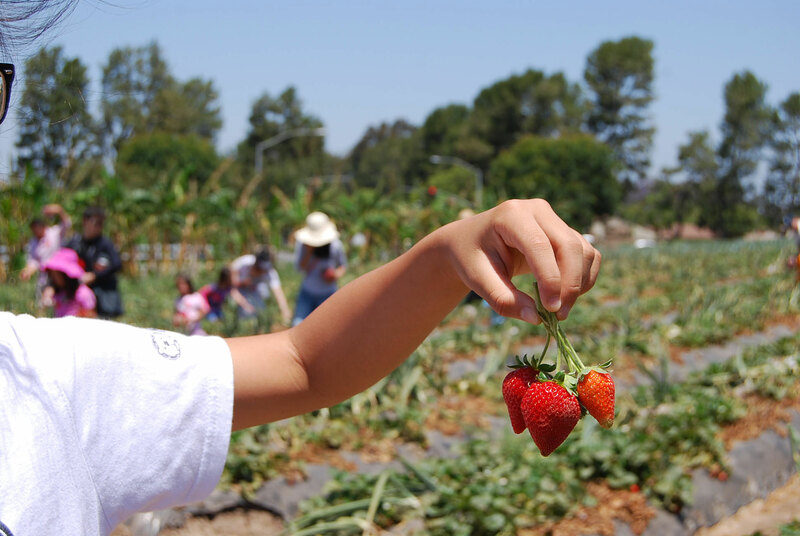 It kind of looked like it went on forever, but it was only an urban farm in Orange County, where I took my family to go strawberry picking one sunny day last week. For city folk like us, the only way to experience a real farm is to drive to it and hope that the owners are kind enough to share their property. 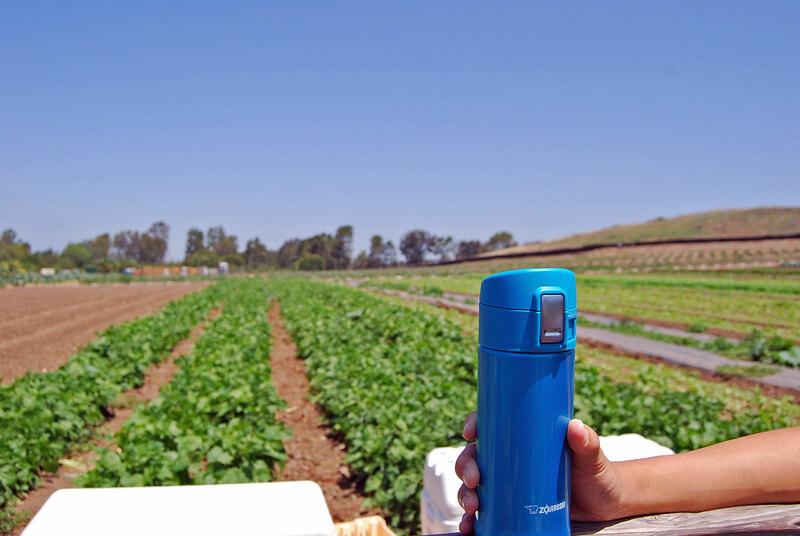 One such “u pick ‘em” type of farm is the Tanaka farm in Irvine, California–surprisingly close to civilization and to the comforts of a van with AC! Just in case though, we did take our Zojirushi water bottle filled with iced green tea. 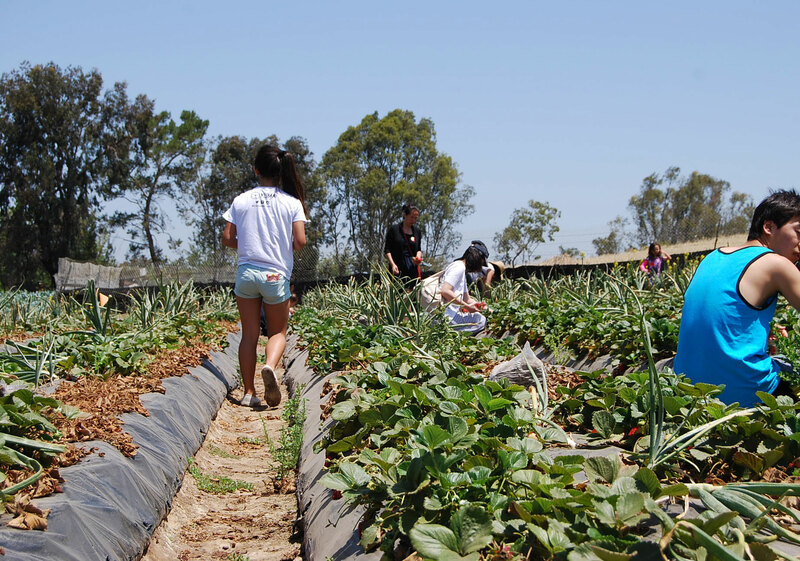 Nestled in a neighborly expanse between the Strawberry Farms Golf Course and the 405 freeway, Tanaka Farms offers daily tours of their fields on a tractor pulled trailer—and that was a neat touch. The produce that you get to pick by yourself changes with the season, and this tour was strawberries! 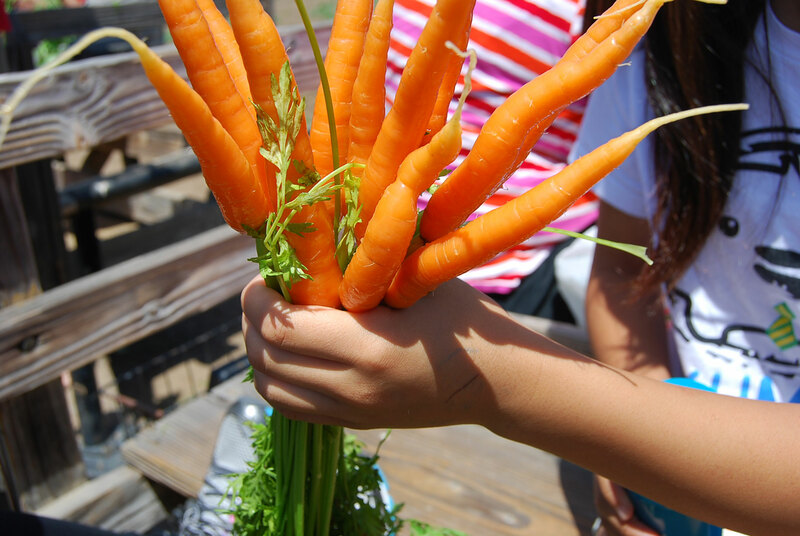 As a bonus, we got some samples of their homegrown carrots, green beans, sweet corn and green onions; so delicious when it’s completely organic. We learned that onions are planted next to the strawberries because they have properties that help the strawberries resist disease, and they also repel slugs that will eat the strawberries. See them in the pics? You’ve also probably noticed the black plastic sheeting that’s covering each plant in every row. This is called plastic mulch, and the black color serves to block sunlight, which discourages weed growth. The soil under the plastic also gets warmer, which keeps the roots of the plants warm and accelerates the growth. We each got to pick a whole boxful, and even with 4 full boxes, they were all eaten fast once we got them home. 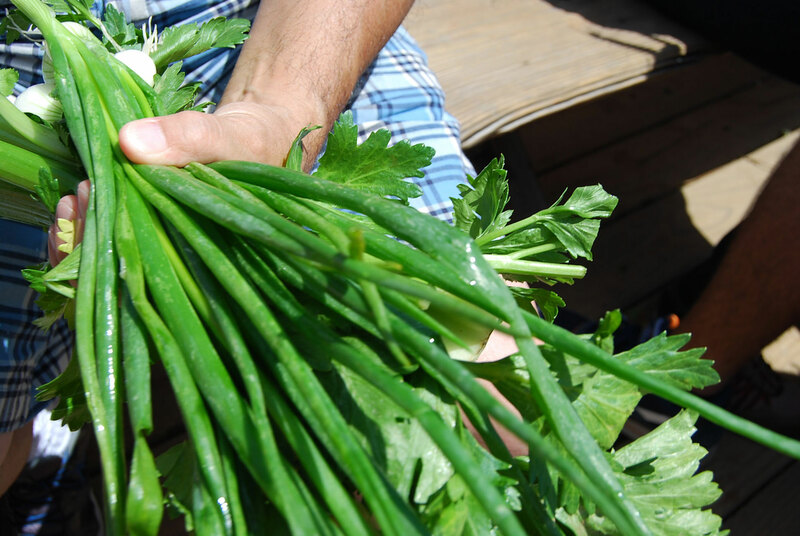 One thing our excursion did was inspire us to grow our own at home. Apparently strawberries are one of the easier fruits to grow—they bear fruit immediately the very first summer so you don’t wait for years like most fruit trees; and they can grow in planters, pots, hanging baskets, on balconies, rooftops, patios or doorsteps. A sunny spot and TLC are all that are required. We’ve started some hanging baskets in our backyard. I can’t wait for my strawberries and cream! Fighting the Heat this July! It is looking like the theme for this month is heat! We have looked into the Japanese tradition of fighting heat by eating eel as well as the practice of wearing lightweight yukata in the hot summer months. It’s fitting that this be the focus as this might be the hottest July ever here in the states! As we gear up for what may be an El Niño fall, we are still facing severe droughts and record highs in most of the country. Crops are drying up in California and people are being asked to conserve here and there when they can and we are just trying to keep cool in this crazy weather! 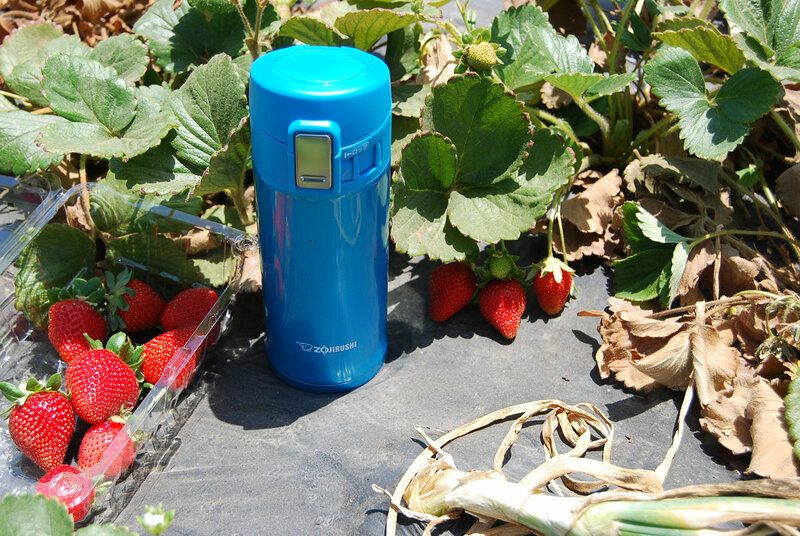 From our stainless steel vacuum products that will keep your cold drinks cool for hours, to our energy efficient electric appliances, we are so proud to offer items that are reusable, energy efficient or good for the planet. Plus, we know that you’d rather cut back from firing up that gas oven during the fiery month of July. Like all things, this heat wave will eventually pass and the heavy rains of fall will soon be here. Until then, keep cool, enjoy home-brewed iced tea and cold rice salads! As always, we wish you a great month full of fun times and great food! Cheers! Doyo No Ushi No Hi is a day devoted to one of our favorite pastimes—eating! Eating what, you ask? This is a day dedicated to eating eel. Each year, the day falls in late July when the hot summer months leave people feeling drained and fatigued. In Japanese we call this feeling natsubate. It is believed that the nutritious and vitamin E rich eel can provide strength and stamina in getting through the heat wave. Most commonly the eel is prepared in a style called kabayaki. This means the fish is split in half, dipped in a sweet soy sauce or tare and broiled or grilled. The custom of eating eel in this style during the hot summer months dates all the way back to the Edo period (1608-1868). 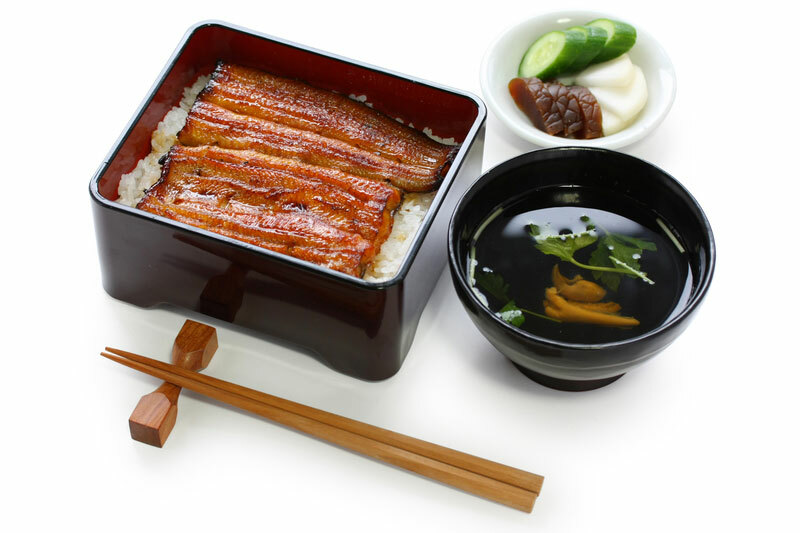 Typically, kabayaki style eel is served on a bed of rice or as part of a bento box. You might also see this style of eel torn up and served in a mixed rice salad. However it’s served, it is sure to be delicious! Doyo No Ushi No Hi is one of our favorite holidays in Japan because it is all about eating! Even though we will be in our offices in Gardena, CA this year, that won’t stop us from celebrating by preparing eel and rice in the traditional kabayaki style. Thanks to great markets, wonderful recipes and the wealth of information on the Internet, anyone can throw a Doyo No Ushi No Hi party this year, from anywhere in the world. You can purchase eel already prepared, how convenient! We hope that you enjoy this special day with a dinner of eel to offer you strength during the scorching heat waves of summer. Happy cooking and happy eating! Japanese summers are hot! They are sticky & humid, and a simple walk to the train can leave you soaking in sweat before you reach your destination. While it can be tough to get through the day in that kind of heat, there is a nice breezy way to help men and women stay cool when things heat up come July – the yukata. The yukata is a lightweight, unlined kimono made of cotton or synthetic fabric. A yukata can be worn by both women and men and are traditionally designed with floral patterns for women, and geometric patterns for men. Much like the silk kimono, young women and children will wear the brightest colors, and older women will stick to darker colors and simpler patterns. Even though yukata literally means bath or bathing garments, it is not uncommon to see men and women dressed in yukata during the hot summer months, and although the yukata dates back to the year 800, it has remained incredibly modern over the centuries. 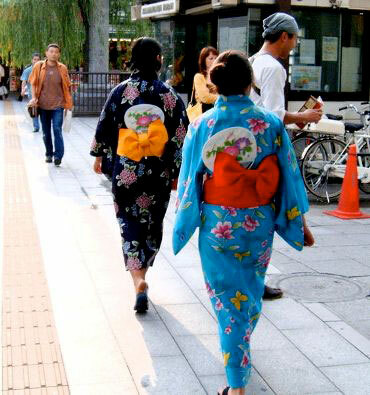 Thanks to the web, yukata are now widely available around the world! If you can’t find one at your local Japanese village, check online shops. There are plenty of colors and patterns out there. These beautiful and airy robes can be worn around the house on a hot day or out into the world! Why not! If you do decide to don a yukata, be sure to let us know! We would love to see you dressed up in the summer’s greatest styles! 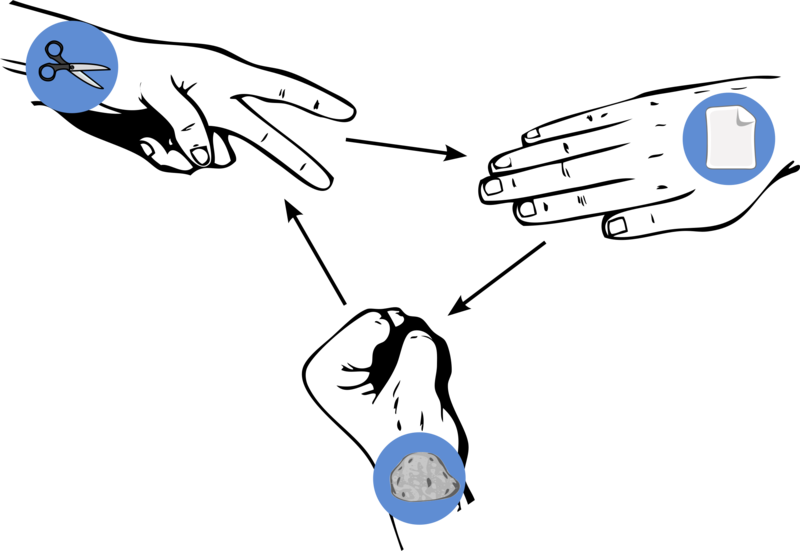 You might be surprised to learn that one of the most popular exports from Asia is a game called Jyan Ken, otherwise known as Rock-Paper-Scissors. All over Japan you will find people young and old making decisions based on this ancient game. In Japan it can be taken to a whole new level with different variations of this fun activity. A Jyan Ken match between friends can have a quick resolution or they can spend a great deal of time due to various versions of the rules. If you would like to learn more here is a great link that explains the intricacies between the versions of the game in Japan. For July we would like to highlight a fabulous rice cooker that has gotten a new look! The Induction Heating System Rice Cooker & Warmer NP-GBC05 has the same great functionality but now in a new color. 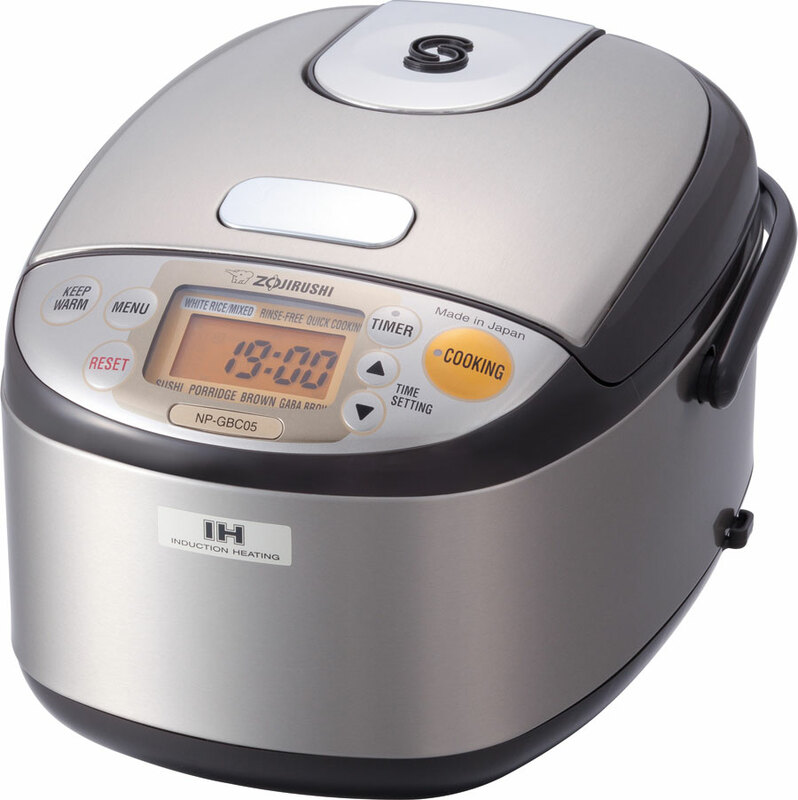 This rice cooker is powered with IH + Micom technology which combines a unique heating feature that allows for precise temperature control. If you are looking for a rice cooker made with superior quality this one is it! This machine can do much more than cook rice. You will also enjoy all of the various recipes you can create with this luxurious appliance.